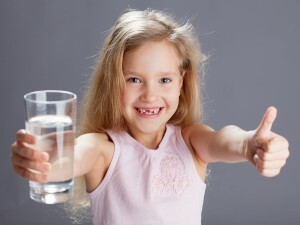 Why consider a drinking water filter system for your Houston, Texas, home? Fifty billion plastic water bottles are purchased in America every year, and the large majority – about 80 percent – are thrown in the garbage instead of recycled. Even more shocking, it takes three liters of water to produce a single liter of bottled water. If you’d like to do your part to reduce water bottle waste, RainSoft offers several models of drinking water filter systems that can provide better-than-bottled water straight from your kitchen tap. When your Houston, TX, home is equipped with such a system, you’ll never need to purchase heavy packs of bottled water at the store again. With a turn of the faucet, your family will have access to refreshing, crisp, and healthier water better suited for drinking. A RainSoft professional will plumb the drinking water filtration system underneath your kitchen sink, allowing you to receive an unlimited supply of purified water without the waste and expenses associated with plastic bottles. Choosing to install a drinking water filter system is a small decision that can make a big impact. To cut back on water bottle waste and enjoy the long-term financial benefits of owning a home drinking water system, contact your local authorized RainSoft dealer in Houston, TX, today. To complement our drinking water systems, we also supply whole house water solutions to provide better water throughout your home.